Welcome to another edition of our Employee Spotlight series. Today we get to know Andre, one of the senior members of our Account Management and Sales team! I grew up in a small community about four hours north of Toronto. I spent a lot of my time outdoors playing various sports and exploring the wilderness. I also had a keen interest in music and creative arts. This led me to enrolling in the Multimedia Design & Production program at Fanshawe College in London, ON. My education allowed me to start my career path as a web graphic designer. After a few years at my first job, I was promoted to Creative Director where I managed a team of five graphic designers. Unfortunately, the dot-com crash in the late 1990s brought an end to the firm I worked for, so I then focused my efforts on freelance work. These were very valuable experiences early on in my career. The highs and lows I encountered helped shape the person I have become today. How did that lead in to your position with Angus Systems? My experience in web design led me to work for a company that was looking to roll-out a new vendor web portal nationwide. My responsibilities were to design and maintain the portal for their Canadian market, along with selling the idea of moving from paper transactions to online transactions within the vendor base. This part of my role allowed me to travel all over Canada to meet our vendors, implement their businesses on our web portal, and train them on how to utilize the new system. 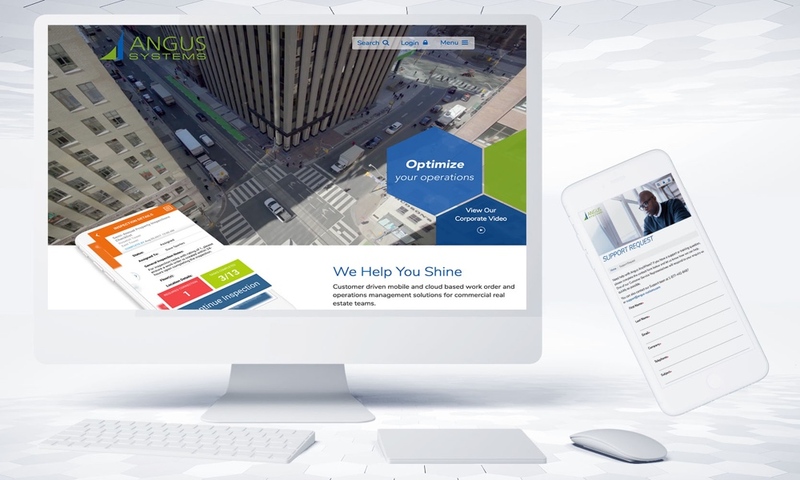 The years of experience I built in training and implementing web-based software led to my first position at Angus Systems as an Implementation Manager. My role as a Senior Account Executive is to oversee our client portfolios and ensure they are getting the best service possible from us. I keep our clients informed about the various solutions we have to offer and assist them in making strategic decisions in order to enhance their daily operations. Travelling to meet our customers in their workplaces exposes me to the true nature of their businesses. This helps me identify the business requirements behind the services they need from us. My favorite part of being a Senior Account Executive is building strong relationships with our clients through trust and accountability. Combining these values with a great product and service is an excellent recipe for not only our success, but the success of our clients as well. Without a doubt…the people. Over the years, I have met many wonderful people here at Angus Systems. I have the privilege of working with kind, caring, intelligent and motivated individuals that make my experience at Angus Systems an enjoyable one. I’m happy and honored to have them as my colleagues and friends. Interesting question, I’ve learned so many things in my 11 years here at Angus Systems. From a personal perspective, I have learned to understand what motivates me as a business professional and individual. My desire to interact with people and build meaningful relationships is a definite driving force behind my motivation to succeed. I have also learned that I love to engage the creative and competitive aspects of my personality, this must date back to my love for the arts and sports as a child. Being creative and contributing to the overall growth of Angus Systems is an environment that I thrive in. A few years ago I was involved in a large new sale opportunity with a Francophone prospect in Montreal. Being the only employee in our department who could speak French fluently, I was able to present our product and company in French to a large audience. My ability to present Angus AnyWhere in French is ultimately what solidified our business relationship with this client. I’m proud of the fact that I was able to use that skill, and essentially that part of my culture, to contribute to our overall success as an organization. Most people probably don’t know how much of a music fan I am. I have played in bands since I was a teenager and have a true passion for music. Actually in 2008, while I was working at Angus Systems, I took some vacation time to go on tour across Eastern Canada. I was playing in a rock band with some of my best friends. We booked a twelve show tour from Toronto to Halifax to promote the new album we had just released. It was so much fun, and an amazing experience that I will cherish forever. As a big fan of music, I love to attend concerts and festivals of all sizes. I also enjoy attending sporting events, mainly hockey, basketball, and football. I like to stay active by playing beach volleyball, hiking / biking with my dog, and snowboarding. As a nature lover I also enjoy off-roading in my Jeep, camping, and fishing.